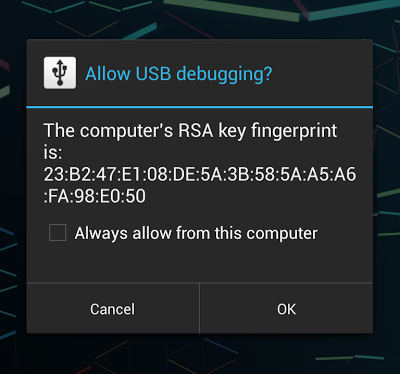 In a previous post we looked at disk encryption enhancements introduced in Android 5.0. That article was written based on the Lollipop preview release, before the platform source code was available, and while the post got most of the details about hardware-backed key protection right (the official documentation has since been released), it appears that it was overly optimistic in expecting that high-end Lollipop devices will ship with hardware-accelerated disk encryption. Android 5.0 did come with disk encryption enabled by default (at least on Nexus devices), but FDE also brought some performance problems, and many Android enthusiasts rushed to disable it. While slower disk access generally doesn't affect perceived performance when using a particular app, longer load times can add up and result in slower switching between apps, as well as longer boot times. In order to improve performance without sacrificing device security Android 5.1 integrated support for hardware-accelerated disk encryption on devices that provide dedicated cryptographic hardware, such as the Nexus 6. Unfortunately, this feature ended up disabled in the current Android release, but hopefully will be turned back on in a future release. This post will look into the implementation of hardware-backed disk encryption on the Nexus 6, show how it improves performance, and finally describe some of the problems of the current implementation. Here we see three different implementations of the aes transformation, all built into the kernel, but with different priorities. When creating an instance of a particular transformation clients of the crypto API only specify its name and the kernel automatically returns the one with the highest priority. In this particular example, the aes-aesni implementation (which takes advantage of the AES-NI instruction set available on recent x86 CPUs) will be returned. New implementations can be added using the crypto_register_alg() and crypto_register_algs() functions. The API provides single-block ciphers and hashes, which can be combined in order to provide higher-level cryptographic constructs via 'templates'. For example, AES in CBC mode is specified with the cbc(aes) template. Templates can be nested in order to request composite transformations that include more than one cryptographic primitive. The API defines synchronous and asynchronous versions of cryptographic operations. Asynchronous operations return immediately and deliver their result via a callback, while synchronous operations block until the result is available. The crypto API also provides a user space interface via a dedicated socket type, AF_ALG. dm-crypt parses the cipher specification (aes-cbc-essiv:sha256 in stock Android) passed as part of its mapping table and instantiates the corresponding transforms via the kernel crypto API. Thus in order to have dm-crypt use hardware acceleration, one has to either register a hardware-backed AES implementation with a high priority (which may affect other kernel services), or use a unique AES transformation name and change the mapping table accordingly. Pretty much all SoC's used in current Android devices come with some sort of AES-capable hardware, usually in order to implement efficient DRM. OMAP devices provide ecb(aes), cbc(aes), and ctr(aes) implementations (in omap-aes.c) backed by the OMAP Crypto Engine; Tegra devices provide ecb(aes), cbc(aes), and ofb(aes) (in tegra-aes.c) backed by NVIDIA's bitstream engine. ARMv8 devices offer an AES implementation which takes advantage of the the dedicated aese, aesd, and aesmc instructions of the CPU. If the hardware-backed AES transformations available on these devices have higher priority than the corresponding software implementations, dm-crypt will automatically use them and take advantage of any acceleration (offloading to dedicated hardware/co-processor) they provide. Recent (and probably older, too) Qualcomm Snapdragon SoC include a dedicated cryptographic module which provides hardware acceleration for commonly used algorithms such as AES and SHA-256. While publicly released details are quite scarce, the Snapdragon 805 and 810 SoC's have been FIPS 140-2 certified and certification documents offer some insight into the implementation and supported features. The cryptographic hardware in the 805 is officially called the 'Crypto 5 Core' and provides hardware implementations of DES, 3DES and AES in various modes (ECB, CBC, etc. ), authenticated encryption (AEAD), SHA-1 and SHA-256, HMAC, a hardware-seeded random number generator, as well as support for mobile communication algorithms like Kasumi and snow-3G. As you can see some of them are registered with a generic transformation name (e.g., hmac(sha1)), while some have the qcom- prefix. Whether to use the generic or driver-specific name is controlled by the device tree configuration. The interesting algorithm in the list above is qcom-xts(aes). Unlike CBC and CTR, the XTS cipher mode is not a generic chaining mode, but has been specifically developed for the purposes of block-based disk encryption. XTS works on wide blocks which map nicely to disk sectors (or blocks) and efficiently generates a 'tweak' key, different for each encrypted block by using the sector number and offset into the sector as variable inputs. Compared to AES-CBC-ESSIV XTS is more complex to implement, but less malleable (even though it is not an authenticated cipher), and is thus preferable. The Linux kernel crypto API does support XTS, so technically dm-crypt could take advantage of the hardware-backed AES-XTS implementation in the Qualcomm CE without modifications. However, dm-crypt is designed to operate on 512-byte sectors and if used as is with the Qualcomm CE would result in many small requests to the cryptographic hardware, which is rather inefficient. Instead of trying to modify or tune dm-crypt, Qualcomm added a new device-mapper target for use with its SoC's: dm-req-crypt. This code first requests an asynchronous implementation of the qcom-xts(aes) transform, sets the encryption key, then allocates and sets up a request structure, and finally starts the encryption operation by calling the crypto_ablkcipher_encrypt() function. The important bit here is that the input and output buffers (scatterlists) req_sg_in and req_sg_out can hold up to 1024 sectors, whereas the dm-crypt always encrypts a single sector at a time. Another important detail is that encryption key passed to the AES-XTS transformation object via crypto_ablkcipher_setkey() is actually NULL. We'll address this later in our discussion of Android 5.1's FDE implementation. As with dm-crypt, disk encryption and mounting is handled by the cryptfs module of the vold daemon. Because most of the heavy lifting is done by the device mapper kernel module, changing vold to support dm-req-crypt is fairly straightforward. The type of disk encryption stored in the crypto footer structure is changed to aes-xts, and the device mapper target used to create a DM device is changed from crypt (which maps to the dm-crypt driver) to req-crypt. These changes are triggered at build time by setting the CONFIG_HW_DISK_ENCRYPTION macro. 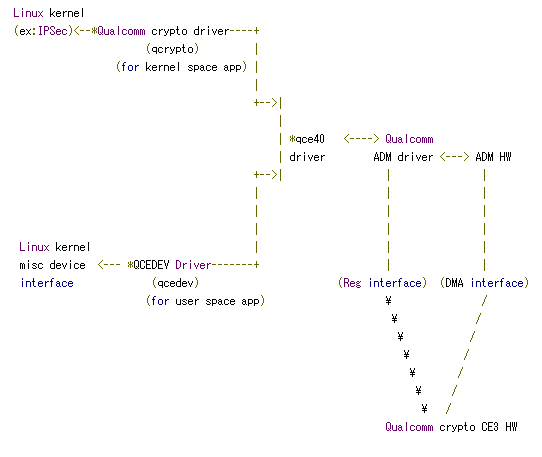 The disk encryption key passed to the kernel (also called 'master key') is generated, encrypted and stored exactly in the same way as with dm-crypt (see the diagram at the end of this post for details). When an encrypted device is booted, the PIN or password entered by the user is run through scrypt, then signed with a hardware-bound RSA key, the result is run through scrypt again to derive the key encryption key (KEK) and IV, which are in turn used to decrypt the master key stored in the crypto footer. The master key is then passed to the device mapper driver as part of the mapping table via an ioctl() call. However, the dm-req-crypt implementation completely ignores the passed cipher string, encryption key and IV offset, and only uses the device path and start sector parameters. As we saw in the previous section, the key passed to the kernel crypto API is also NULL, so where does the actual disk encryption key come from? The key management implementation is unfortunately proprietary and depends on the Qualcomm Secure Execution Environment (QSEE, also used to implemented the hardware-backed keystore). That said, the glue code that integrates it with vold, as well as the kernel driver are open source, so we can get a fairly good idea of how the system works. The disk encryption key is set, updated and cleared using the cryptfs_hw glue library. This library merely loads several functions from the proprietary libQSEEComAPI.so library using dlopen() and provides wrappers around them. For example, the disk encryption key is set by calling set_hw_device_encryption_key(), which in turn calls QSEECom_update_key_user_info() from the proprietary library. This function send commands to the secure OS via the qseecom kernel driver which is visible to user space as the /dev/qseecom device. Generating a disk encryption key causes the qseecom driver to request loading a trusted app in the secure OS, and then sends the QSEOS_GENERATE_KEY command, which kicks off key generation. Generated keys appear to be stored on the ssd ('secure storage device'?) partition which points to /dev/block/mmcblk0p34 on the Nexus 6. After the key is generated, it is loaded into the hardware crypto engine using the QSEOS_SET_KEY command and can henceforth be used for encryption or decryption. The important bit here is the crypto type which is set to aes-xts. Because the actual disk encryption key is manged by the crypto engine, all other parameters (encrypted key, salt, etc.) are only used when verifying the user PIN or password. On boot, vold checks the value of the crypto type, and if set to aes-xts, loads the disk encryption key using the cryptfs_hw library, and then initializes the dm-req-crypt device mapper target. From there, the system simply mounts the created dm-0 device as /data, and all reads and writes are decrypted/encrypted transparently. As can be expected, hardware-backed disk encryption performs better than software-based dm-crypt implementation. The screenshots below show the actual numbers, as measured by the AndEBenchPro application ('low-tech' dd read/write results are similar). As you can see, while disk access when using hardware-backed disk encryption is still about 40% slower than on an unencrypted device, random and sequential reads are almost two times faster compared to the software implementation (when reading 256KB blocks of data: 46.3MB/s vs. 25.1MB/s). 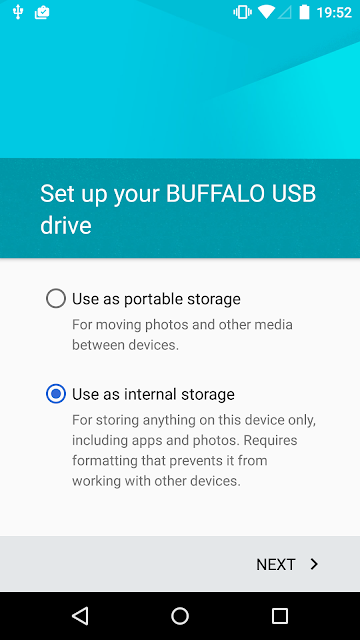 So why isn't hardware-backed FDE enabled on current Nexus 6 builds? Unfortunately, while the current implementation performs pretty well, there are still some problems, especially when the device is in sleep mode. If the device is in sleep mode for a relatively long period of time, read errors can occur, and the userdata partition may be mounted as read only (which wreaks havoc with the system's content providers); the device may even power off. While a reboot seems to fix the issue, if the the userdata was mounted read-only, the SQLite databases storing system configuration and accounts may get corrupted, which in some cases can only be fixed by a factory reset. 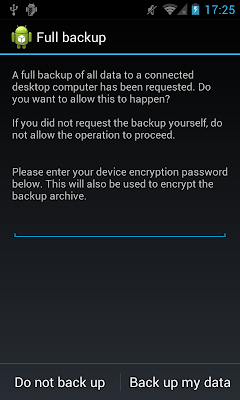 Thus, hardware-accelerated disk encryption is unfortunately currently not quite suitable for daily use on the Nexus 6. The OnePlus One (which has a Snapdragon 801 SoC), running CyanogenOS 12 also includes a dm-req-crypt-based FDE implementation which is enabled out of the box (disk encryption has to be triggered manually though). 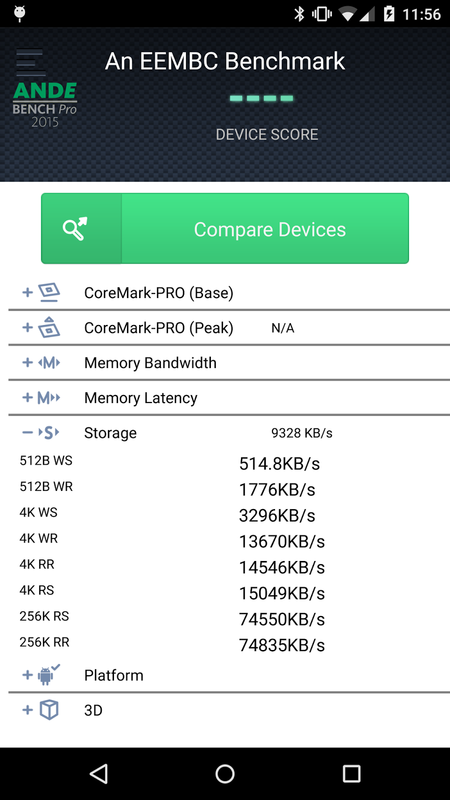 The FDE implementation one the OnePlus One seems to be quite stable, with comparable performance (50MB/s random read), so hopefully the problem on the Nexus 6 is a software one and can be resolved with a kernel update. Disk encryption on Android can be accelerated by adding a kernel crypto API driver which takes advantage of the SoC's cryptographic hardware. This allows block encryption to be offloaded from the main CPU(s), and improves disk access times. Devices based on recent Qualcomm Snapdragon SoC's such as the Nexus 6 and the OnePlus One can take advantage of the SoC's crypto core module using the qcedev and qcrypto kernel drivers. A dedicated disk encryption device mapper target, dm-req-crypt, which batches encryption requests in order to increase throughput is also supported. Additionally, disk encryption keys are managed through a TEE secure app, and thus are not accessible by the Android OS, including the kernel. When using hardware-accelerated FDE disk access is almost two times faster compared to the software-based dm-crypt implementation, but unfortunately there are some major stability problems on the Nexus 6. Hopefully those will be fixed in the next Android release, and hardware-accelerated disk encryption will be enabled out of the box. The way this feature hooks to vold is really interesting and strange. Unlike any other "HAL", the include header is drawn from the device directory, as if the implementor would be allowed to define their own functions for "libcryptfs_hw". However, vold obviously expects those exact functions to be implemented, so a contract still exists. Typically the "documentation" of this contract would be the header file. I wonder if they intend to document this one elsewhere? It is really odd to see target-specific code built into vold in this way. Perhaps they will formalize the include header before making this something that can be enabled for all devices, and this is a sign of the feature not yet being ready. From the commit log it looks like this was switched off in the last moment, so I think it was supposed to ship as is, at least in 5.1. BTW, this code has been around for about two years, Google has just been slow to incorporated in Nexus devices. As for contract/HAL, the only portable interface to Linux FDE are the device mapper ioctl() structures. The Qualcomm stuff loads keys directly into SoC registers (via TZ), so it is very device (SoC) specific. Not sure you can make a portable HAL from the current libcryptfs_hw. It is more likely that the whole vold/cryptfs infrastructure will have to undergo a major refactoring first. Also, it does seem that the idea for Android M is to incorporate file-based encryption, so FDE might be deprecated altogether. That throws up a big red flag. Basically the hardware is keeping the decryption key just its a secret to everyone ,except Qualcomm, how to extract it. That means eventually hackers will break it and the NSA already know how to get the key out, they are not stupid. Not really, the key is derived from your password/PIN. While the exact derivation is procedure is not known, Qualcomm certainly doesn't have your key. Nice to see you are back. I also tried the benchmark you ran and got the same results. My question is: What will be the application that will actually be impacted by a SW-based encryption? I believe that it should be an app that Reads large blocks. They don't need it if they control entropy and have arbitrary code which they can license out to intelligence agencies without the public ever knowing without a NSA or FBI leak..
Also you have to wonder what else Google rushed. Google code handles all TrustZone kernel loading and signing via ARM registers. Anyone want to dump vendor keys, credit card and card-reader data, or make invisible rootkits that survive hardware reset? All you need is non-privileged code execution that leverages a privileged escalation in Google code and uses a TZ kernel bug to launch a thread in a TZ(this has been done before). Any government has people skilled enough to do this and botnet owners can afford the research..
Hope all is well. Hey, not sure if you covered this before. How is app validation done on Snapdragon? How much of this procedure is qseecom involved in? Can you elaborate on that? Have you covered the SMC call in any of your posts? Will you do that?